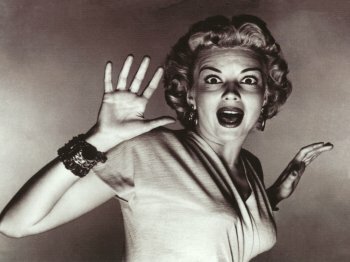 I took a class once on horror films (Yes…I took many odd classes in college. Money well spent.) We spent a lot of time watching clips from Texas Chainsaw Massacre and analyzing the Scream franchise, and even though the whole thing wasn’t quite as shocking or gruesome as what comes up when you do a Google search of “morgue” (I mean, Jesus, that might have been a mistake to do on my work computer), I came away with a solid understanding of how the horror genre plays out in our lives. Even if you don’t enjoy horror, you should not disregard the genre entirely (over-used tropes of nearly-naked blondes running from masked murders notwithstanding). Horror reflects society and the human condition on it’s most base level – tapping into the very fears that run below the streets of the sometimes flimsy facade of civilization we’ve built to protect ourselves. You could say horror is a necessary evil. HA. I’ve always been a big fan of horror or, perhaps more specifically, the creepy, weird or unusual. 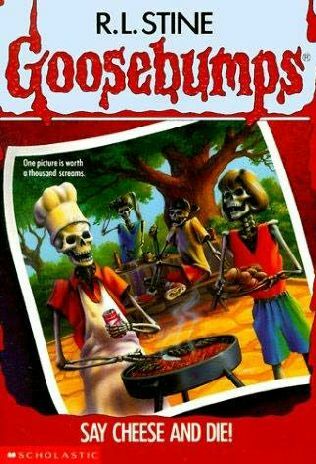 I grew up reading Goosebumps and one of the most terrifying children’s anthologies every published: Scary Stories to Tell in the Dark. I was known to pout when no one wanted to tell scary stories around the camp fire and they opted to sing that goddamn “Make New Friends” song again instead and presumably hold hands or something. I was obsessed with the scifi/horror/weird shows The X Files and The Twilight Zone (I say ‘was’ as if those obsessions have somehow disappeared) and I still hold out that the horror-comedy The Frighteners is one of the best films ever made. Ever. And I have my reasons. The horror stories that rise above mere slash and hack gore, whether they are natural or supernatural in nature, are playing with the two most frightening elements a story can possess: the unknown and the uncanny. They differ in an important way. The unknown is, as Lovecraft says, the oldest fear there is. When we lived in caves, we feared what lurked in the dark. In today’s world, the same fears fired up after the September 11 attacks, when a different culture, a different religious group that many weren’t familiar with took to the Terror Stage (you can look at World War II when other groups were singled out and labeled as the unknown). Humans fear what they don’t understand, what they can’t see, the hidden enemy hiding in the crowd – our imaginations are always more horrible than reality, which is why the reveal of a monster is best left until the final stages in a movie, if it happens at all. The uncanny refers to a Freudian concept where something is both familiar, yet foreign – it has a feeling of the uncomfortably strange, and often taps into the desires of the Id. Our societal taboos can be uncanny. An inanimate object that is suddenly animate; a physical deformity or change; doppelgangers. Our familiar perception is twisted, sometimes even slightly, to create something terrifying. Death is the ultimate fear: everything about it is the unknown, and a dead body is the ultimate in uncanny. Google image search “morgue” and you’ll get my meaning. You’ve probably heard this theory but, not considering individual analysis of certain movies or stories, in a very generalized way, the popularity of zombies or vampires reflects the political climate of the day in the US. Zombies tend to be more popular when there’s a Republican in the White House. Vampires are more popular when Democrats are in power. If you’ve ever seen any of the Night/Evening/Day/Morning/Mid-day Snack of the Living Dead Movies, this may be abundantly clear to you as the message (consumerism, for example) gets more blatant as the movies go on. Democrats fear zombies because they are mindless consumers who destroy non-conformists. 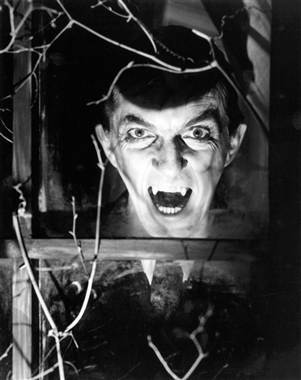 Republicans fear vampires because they are overtly sexual deviants and loners from society who feed off of others. You can see where this is going. Here’s a Cracked article about this that’s fun. Still no explanation for the sparkly vampires, however. We’ve built whole civilizations, towering cities, and great big things that get us from one place to another. We post on facebook every five minutes to make sure people know we have a pretty darn good life. Our twitter feed is blowing up, yo. But in the end, there is an aching feeling of powerlessness, of loneliness, of extreme vulnerability. Horror strips us of our big buildings and shiny cars and internet connections. We must face what we are and what we’ve done and what we’re capable of. There is nothing to hide behind and it’s painful, though cathartic, to experience it. The great theme of King’s fiction is the capacity of the average person — especially working-class or similarly humble men and women — both for evil and for heroism. Although there’s almost always a battle against a supernatural antagonist in King’s books, the best of his novels hinge on the protagonists’ struggles with themselves….King is, essentially, a novelist of morality. The decisions his characters make — whether it’s to confront a pack of vampires or to break 10 years of sobriety — are what matter to him. But in Kubrick’s “The Shining,” the characters are largely in the grip of forces beyond their control. It’s a film in which domestic violence occurs, while King’s novel is about domestic violence as a choice certain men make when they refuse to abandon a delusional, defensive entitlement. Both the novel and the movie are great in their own right – though one is terrifying due to moralistic reasons, and the other because, essentially, we’re all powerless and under Stanley Kubrick’s control. Which might be the most terrifying thought of all. Very good article in the latest edition of Eclectic Voices (Halloween Edition) by my friend and co-coordinator Chelsea Sutton. I’m a big King fan myself, for the same reasons you highlight above. One of my other favorite horror artists is David Cronenberg, whose horror films were all deeply grounded in “body horror” – that shared human experience that we are all of us trapped in these fleshy meat sacks that begin rotting and decaying on us from the moment they are created, allowing us to be while simultaneously destroying us. I always felt Cronenberg gave the best gore, because he used it to remind us that the odds heavily favor us experiencing some kind of horrifying decay, decrepitude or bodily catastrophe before we die. This entry was posted on October 6, 2013 by Eclectic Voices in Blog and tagged Fear, Google, horror, horror films, morality, Politics, power, Scream, Shining, Stanley Kubrick, Stephen King, Supernatural Horror in Literature, Texas Chain Saw Massacre, Texas Chainsaw Massacre, The Uncanny, Uncanny, Unknown, vampire, zombie.